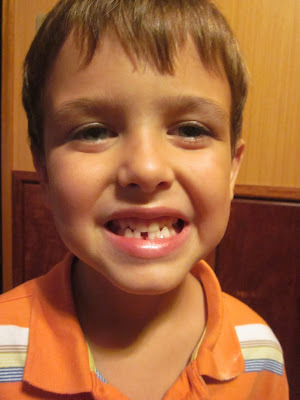 Finally last night Cooper lost his first tooth! Daddy helped pull it out. He was so excited. He couldn't wait to go to bed so the tooth fairy would visit! Here is a video of his new smile and of course the other kids jumped in for a little added humor.